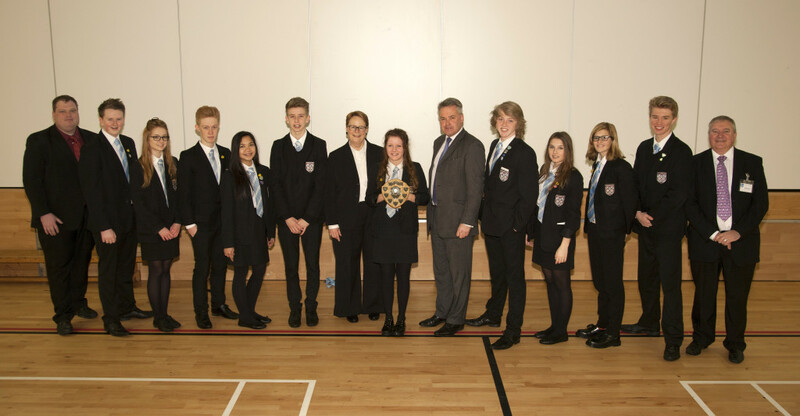 Last Friday (February 14th) Tim Loughton MP went to Littlehampton Academy, to present the winners of the inaugural Clear Computing schools challenge their prizes. The challenge itself was to come up with a social media site for school pupils and teenagers; They had to create an idea and present it to a number of field experts; with considerations to finance, design, function, security, but the real aim was to see what ideas they would come up with to combat the ongoing problem of cyber bullying and “trolling”. Six schools throughout West Sussex, all entering two teams took part in the challenge. But it was the Littlehampton Academy who triumphed; as “Team B” impressed the judges with their idea. The prize was then presented to them on “Internet safety” week at the Academy with special guest MP Tim Laughton who presented them with the Clear Computing Schools challenge winners shield and an IPod shuffle each. Afterwards the former children’s and families minister said “It’s fantastic that, companies and providers are looking into the ever-growing concerns of Internet safety. And what’s more fantastic is that young students are being challenged on what they can do to make the internet, safer for them and coming up with some fantastic ideas with considerations to the real world”. This was the first Schools Challenge and looks like it won’t be the last one either, we look forward to the ideas students come up with, for many years to come.